Friends, readers of PMChamp, I am glad to announce that the Next Online Workshop Begins this Monday. PMChamp PMP Exam Prep Coaching Workshop is now available for your consideration. Please read this short page to understand the benefits of this program and how you can sign-up. Click here if you want to skip the story and just get in to PMP Exam Prep Coaching Workshop. What is PMP Exam Prep Coaching Workshop? The PMChamp Exam Prep Coaching Workshop is structured and comprehensive online training program for preparing for the PMP Exam. It is full of tips, tricks, mock exam questions. The aim of PMP Exam Prep Coaching Workshop is to prepare the project managers aspiring to get the PMP Certification, quickly, easily, and without hassles, so that you can pass the exam quickly. Why should you join PMP Exam Prep Coaching Program? If you are like most project manager, it has been quite some time since you studied or sat for an exam. And that too a 4 hour long exam. Plus you have heard that it requires you to memorize several formulas, and the books are quite thick and heavy. All this causes fear, apprehension, and dampens your spirits…. What you need is a step by step, methodical, proven and effective method, which you can follow, ask questions, and make your own. Spending an hour a day for 5-6 weeks will give you the confidence and help you to prepare for the exam. However, preparing and getting PMP Certification is really worth it. It gives you such a boost in your professional career as a certified Project Manager. That is why I designed PMChamp PMP Exam Prep Coaching Program. This is a structured program with 35 topics. Each topic contains several videos and downloadable PDF files for you to learn the concepts in detail. This is an intense, focused and clearly defined program to help you prepare for the PMP Exam in a useful, practical and fun way. 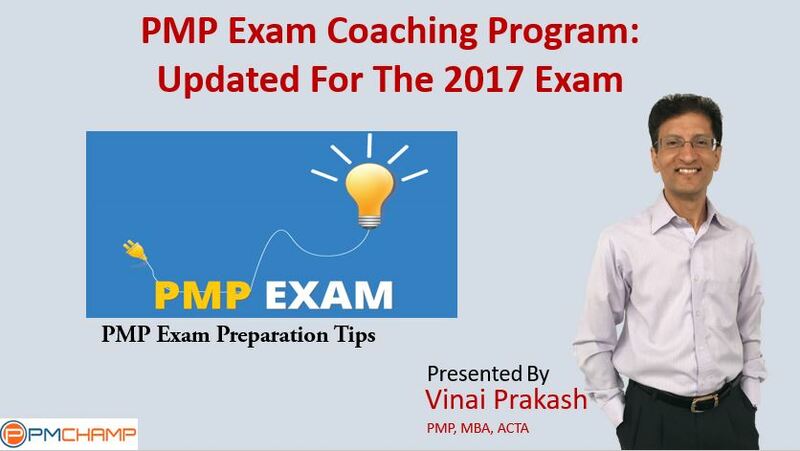 What Topics are Covered in PMP Exam Prep Coaching Workshop? See Detailed Course Plan and Lesson Topics. Each of the 35 topics in PMP Exam Preparation School come with videos – one each day, covering each knowledge area, process group and process in detail. Plus topics which are not even covered in depth in the PMBOK Guide. All these lessons are neatly structured in to a lesson plan with links to view, download and discuss. 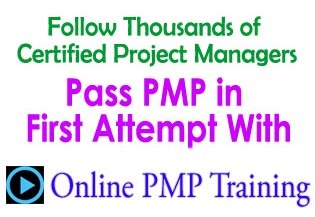 You can follow the lesson plan and boost your PMP skills in a very short period of time. Almost all the topics in PMP Exam Prep Workshop School include downloadable content – either videos, or ppts or pdf files. Using these files, you can easily improve your understanding and play with the concepts right-away. This cheat sheet can help you understand and internalize all the formulas required for the PMP Exam. It contains the essence of most important formulas along with example uses and tricks to handle formula questions. For More Information Visit The PMP Exam Prep Coaching Workshop Now! 7-day money-back guarantee. Your investment is covered by our full 7-day, complete satisfaction, “love it or your money back” guarantee. The entire program is at a price of only US$179.00 only. You can make payments by PayPal, Visa, Master Card, American Express etc., all by using your Credit Card easily. It takes about 6 weeks to complete the program, if you take part in the daily lessons and exercises, and spend at least 1 hour each day, without any exceptions.